On August 18, 2016, the VA announced their newest pilot program. The Service Dogs Benefit Pilot will provide veterinary benefits for service dogs approved for disabled veterans with mental disorders with a chronic impairment that limits their mobility. The VA already provides veterinary benefits for guide dogs belonging to veterans with impaired hearing, vision, or mobility. This pilot program will extend these benefits to veterans with mental disorders for whom a service dog has been determined to provide the best way for that veteran to live independently. 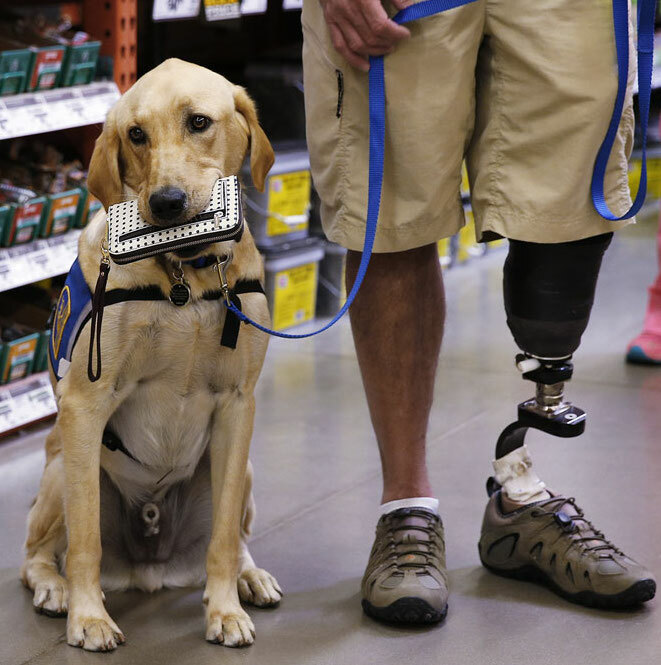 Service dogs are specially trained to perform tasks or services for a specific person who has a disability which makes it impossible for them to do the task or work on their own so they can live independently. This specialized training is what makes service dogs different from comfort animals or pets. In order to qualify for the veterinary benefits, a service dog must have been trained according to VA regulations by a group or organization accredited by Assistance Dogs International. Medical care provided under the veterinary service benefits include annual wellness visits, immunizations, dental care, screenings, urgent or emergency care, prescriptions, and other treatments that help the dog provide service to the veteran. For more information on the VA’s service dog program, please go to http://www.prosthetics.va.gov/ServiceAndGuideDogs.asp.